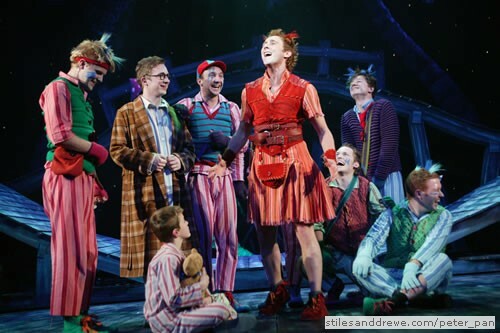 Stiles & Drewe | Peter Pan "A Musical Adventure"
London Town is strangely ill-at-ease. Rumours abound that babies have gone missing from their perambulators and, as darkness falls, city workers hurry home to their families. In the Darling House, in a backwater in Bloomsbury, Mr and Mrs Darling wish they didn’t have to go out for the evening, but needs must. Leaving their children, Wendy, Michael and John, under the watchful eyes of Lisa, the maid and Nana, their Newfoundland dog – they reluctantly bid their brood goodnight. As silence descends on the nursery, a small ball of light, no larger than a gentlewoman’s fist, enters the room – it is Tinkerbell. The mischievous fairy flits frantically about as if searching for something. Moments later, the windows swing open and Peter Pan files into the nursery. Wendy is awoken and helps Peter to reattach his shadow and, with the promise of regaling Peter and the Lost Boys with bedtime stories, she is invited to accompany him on his flight home. 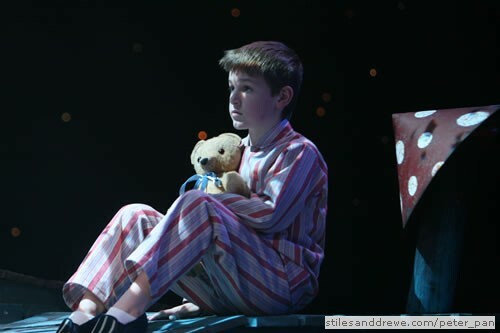 Wendy can’t leave her brothers behind, so she wakes John and Michael and with a sprinkling of fairy dust, the children join Peter Pan and Tinkerbell as they fly out of their nursery window and across a moonlit London. 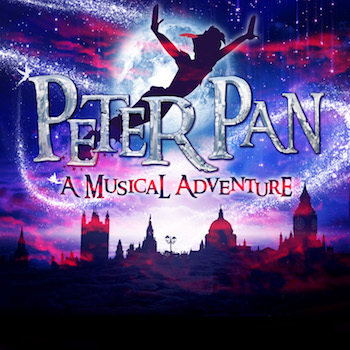 Peter Pan – A Musical Adventure first saw light of day in Denmark, at the International Musical Of The Year in 1997, where it won two top awards for Best Song (When I Kill Peter Pan performed by the late Denis Quilley) and The Orchestra's Award for Best Musical. In 1999 it premiered in a lavish production at Det Ny Teater in Copenhagen, performed in Danish. 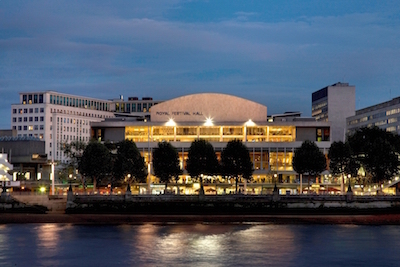 In 2001, under the direction of Julia McKenzie and Jonathan Butterell, a staged concert with the BBC Symphony Orchestra, was produced at the Royal Festival Hall and was later broadcast on BBC Radio 3 for New Year’s Eve. 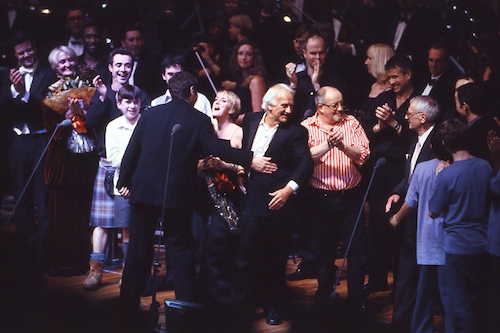 The concert starred the late John Thaw as Captain Hook, Joe McFadden as Peter Pan, Jenna Russell as Mrs Darling, and Sheila Hancock as the Storyteller. 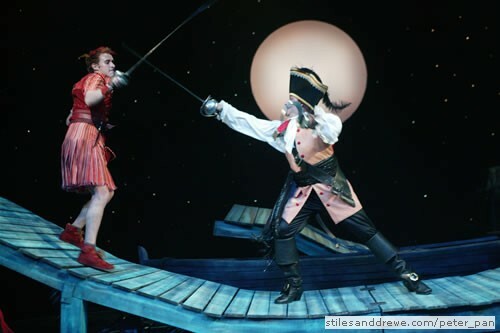 The performance also boasted a first in that Wendy, Michael and John were played by three real-life siblings, Laura Michelle Kelly and her brothers Jorim and Nathan. 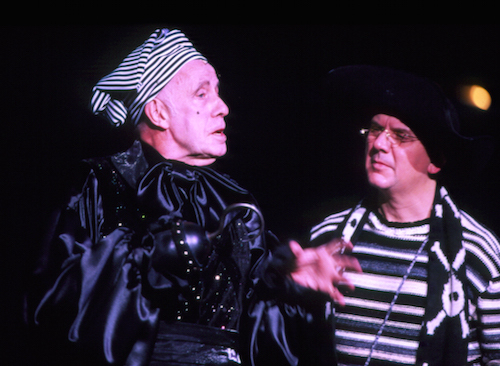 Following the concert’s success, a fuller semi-staged version, with the Royal Philharmonic Orchestra, ran for 6 weeks at the Royal Festival Hall over Christmas 2002 starring Richard Wilson and James Gillan, with Susannah York as the Storyteller and Lottie Meyer as Wendy. That same winter it was also seen for the first time in the USA, at the Prince Theatre in Philadelphia.  The show received it`s first fully-staged British production at Birmingham Repertory Theatre in December 2007, where it was directed by Rachel Kavanaugh, designed by Peter McKintosh and choreographed by Jenny Arnold. 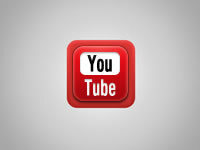 The show is now performed widely in many countries and is published by Samuel French in the USA and Josef Weinberger in the UK and other territories.